There are many options out there to help you get the most out of your trip planning. Are you using the right ones to get the best commute for you? Cohop is our exciting new carpooling app which helps bust the Macquarie Park traffic jams in an easy to use 'uber-like' smartphone app. The app supports real time ride searching and matching, which means less waiting for you, and with over 2000 Cohop riders, you're sure to find a ride going your way. A standout feature of Cohop is the guaranteed ride home (via uber/taxi) if your ride cancels, provided all conditions are met. Available on both the Apple App Store and the Google Play Store. Opal Travel is the companion app for your opal card that you can use to plan your trips. Within the app, you can plan your trip across any service (train, bus, ferry, light rail, regional trains, and coaches), estimate your fare, get important alerts, view your opal history, and top up your card. NextThere is a personalised transport app which aims to provide simple, fast real-time transit information. It lets you track the whereabouts of your next bus, train or ferry and see how full it is so you don't have to waste time waiting for a late bus! With NextThere you can create your own list of stops, live-track the vehicles, and stay on top of any traffic disruptions like congestion and delays. 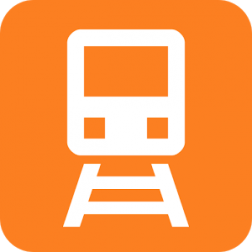 TripView is a trip planning app which displays the Sydney and Melbourne public transport system in an interactive and mobile friendly, app format. It allows users to check trip times, get real-time delay information, keep updated on any track work or service interruptions, view interactive maps, set alarms, and use a multi-modal trip editor. Keoride is an on demand transport service designed to provide a faster and more personalised travel experience to and from Macquarie Park. Customers are in control of their transport journeys, and can book a vehicle to pick them up close to their home, designated pick up point or nearest bus stop and take them to Macquarie Park and North Ryde. Keoride matches you with other customers travelling in the same direction, has both on-demand and scheduling functions, and averages very short wait times! Moovit has received world acclaim as the "leading public transit data and analytics company". The app allows users to find the best route for them to travel to anywhere in their city. When you need directions, it can provide accurate itineraries, mobile alerts, and the option to set favorite locations. When you need information, you can find live data on all nearby stations, and everything you need to know bout the closest train and subway stations. TripGo is the go-to transport app for finding the quickest and most cost-effective route, and even includes the ability to find the route with the least impact on the environment. Within the app, you can see timetable information, preview route options for upcoming events in your calendar, see estimated costs, check how full the upcoming bus is, and more. Google maps are the widely used and trusted app for navigation and finding nearby shops, but a lesser known feature is its trip planning features. It allows you to easily compare transit times between public transport and driving, plan trips by both arrival or departure time, even reliably presents live bus and train info. SnapSendSolve is the essential app for reporting local issues that need to be addressed. The app gives communities the power to directly report incidents to the authorities without the hastle of figuring out who to contact and how to contact them.